Our clients can avail from us special quality Liquid Sulphur Black Dye. Compared with Solid Sulphur Dyes, liquid ones are characterized by vivid dying color, even dyeing, simple craftwork and use and stable quality. In addition, Liquid Sulphur Dyes are environment and human friendly, no harmful and carcinogenic substances are found in them. Comparing with the sulphur dye in powder, the liquid sulphur dye has more excellent osmosis, brightly painted, excellent equalizing, simplicity of operator, convenient to use. To get the best reducing state, stable and excellent color development effect, the course of production is controlled by strict technical rules; the reducer and dosage is filtered and calculated carefully. 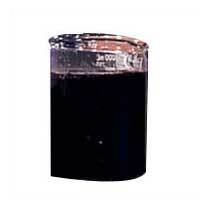 Our Liquid Sulphur Black Dye can be obtained at market leading prices.